A compilation of information and links regarding assorted subjects: politics, religion, science, computers, health, movies, music... essentially whatever I'm reading about, working on or experiencing in life. "Midlife Is A Crossroads, Not A Crisis"
[...] At midlife, we find ourselves experiencing a discrepancy between who we thought we were and who we actually are now. To make matters worse, while the person we thought we were seems to be dissolving, the person we hoped we weren't begins to show up more and more. This clash of images can leave us feeling sad, depressed, angry and very alone. We might feel a sense of profound loss that we cannot really explain to ourselves. Midlife transformative forces can push us deeply into our fear. Then we see its real nature. Behind our fear is a sadness that is an expression of a tender heart. This tender heart is an important source of compassion and concern for others as well as of awe and wonder about the mystery of life. When we connect with our tender heart, we no longer have to be embarrassed about who we are. There is an art and science to making a midlife transformation. First we need to recognize that the turmoil we feel represents life working on us rather than evidence that we are sick or other than we should be. At midlife our soul makes a grab for the steering wheel, it wants to drive. Ego's dress rehearsal is over. Death is no longer hidden on the horizon. We need to face the task writing a script for the second half of our lives, so we can live with conviction and real intent. As we give up our concepts of who we are and what we "should" be, we can then become sensitive to a kind of internal guidance. Our psyche, at first, frightens us by shaking up our world entirely. It then stimulates us by pointing to some of life's most interesting possibilities. Our task is listening and attending to what our soul is telling us. What's going on in Turkey? ISTANBUL (Reuters) - The jailing of hundreds of Turkish army officers including top generals accused of plotting to topple Prime Minister Tayyip Erdogan underscored how far he has come in gaining control of the country's once all-powerful military. But Erdogan, 10 years in power, must grapple with suspicions among critics and even some sympathizers that he is using this and other coup investigations to silence opposition as he sets about taming a militant secularist establishment. Far from flinching, he may seek more power in a revamped presidency. The verdict against 325 officers at the end of the 21-month trial on Friday would have been unthinkable a decade ago, when generals regularly intervened in policy-making as self-appointed guardians of Turkish secularism. Judges in the case, dubbed Sledgehammer, handed down prison sentences ranging from six to 20 years against the officers for plotting to wreck Erdogan's rule almost 10 years ago, soon after his Islamist-rooted party swept to power with the biggest share of the vote in decades. Hilmi Ozkok, who was head of the armed forces at the time, rejected accusations the court's decision was driven by revenge. "The ruling will serve as a deterrent and has a lesson for everyone ... in understanding how much Turkey and the rest of the world has changed," Ozkok told Milliyet newspaper on Sunday. Under Erdogan, a devout Muslim, curbs on religion have been relaxed. 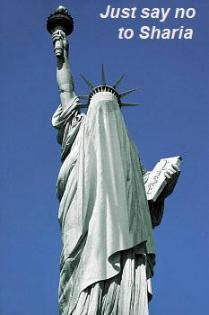 Women are allowed to more freely wear the Islamic headscarf, alcohol is heavily taxed, and students at religious high schools are able to more easily attend university. Journalists complain of pressure to write favorable stories about the government, and a number of writers are among those arrested under another plot investigation, "Ergenekon". "This (Sledgehammer) case is an important step towards ending the army's political role but it's not enough to stop it completely," said Sahin Alpay, professor of political science at Bahcesehir University and a columnist for Zaman, seen as close to the government. "Now we need a new constitution and laws that place the army under civilian supervision and reform military schools to reflect the values of a liberal democracy," he said. A new constitution is now under consideration to replace a restrictive code inherited from the military after a 1980 coup. Turkey may well emerge from the debate with a presidential republic and a powerful president in Erdogan. Alpay acknowledged there were questions about the case with so many defendants on trial at once, the judges' refusal to allow in some defense evidence and the lengthy sentences. A key issue at appeal is likely to be the defense's inability to submit legal expert testimony that computer documents submitted as evidence appeared fake. I've posted before about the complexity of Turkish politics. Both the secular and the religious sides have legitimate complaints and concerns. It's not easy to sort it all out, and even more difficult to guess where it's all going to lead to. [...] The actions of the Federal Reserve have a dramatic impact on the lives of every single American. The central bank essentially controls the value of the money that we have in our pockets. QE1 and QE2 can be blamed in large part for the skyrocketing price of food at the grocery store. The same supply and demand rules apply to money. The more dollars we have in the circulation, the less valuable the money becomes. The Fed is a main reason why it’s costing us more dollars to fill up our gas tank nowadays. For decades, Rep. Ron Paul (R-Texas) was the lone voice in Washington speaking out against the Federal Reserve. 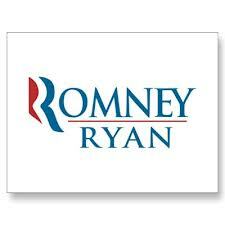 He writes that “the inflation tax, while largely ignored, hurts middle-class and low-income Americans the most. Simply put, printing money... dilutes the value of the dollar, which causes higher prices for goods and services. Inflation may be an indirect tax, but it is very real — the individuals who suffer most from cost of living increases certainly pay a ‘tax.’” QE1, QE2 and QE3 are nothing more than stealing wealth from the people through the hidden tax of inflation. Our Founding Fathers would surely be outraged by the existence of the Fed. These great men believed in a limited government that was held accountable to the people. The Federal Reserve, which is generally regarded as a quasi-governmental entity, has less oversight than even the Central Intelligence Agency (CIA). The most powerful central bank in the world makes all of its decisions without even a single vote from our elected representatives in Congress. You can bet that the Fed is up to no good behind closed doors. Due to a provision under the misguided Dodd-Frank financial overhaul law, the Government Accountability Office (GAO) conducted a one-time, watered-down audit of the central bank back in July. It gave the American people their first peek into the central bank’s books but prevented investigators from peering into their deliberations on interest rates and the most crucial transactions of the Fed. We still need to pass a true audit the Fed bill like Ron Paul’s Federal Reserve Transparency Act of 2011 that would require comprehensive audits on a regular basis. The first ever audit revealed that the central bank “loaned” out $16 trillion at a zero percent interest rate to corporations and banks around the world during the height of the financial crisis. To put that number into perspective, the Gross Domestic Product (GDP)—the value of all economic activity within a country— of the United States is only $14.12 trillion. It’s no wonder that the Fed is desperately trying to protect their privileged secrecy. Fed Up with the Fed? [...] The policies of this administration make it risky to lend money, with Washington politicians coming up with one reason after another why borrowers shouldn't have to pay it back when it is due, or perhaps not pay it all back at all. That's called "loan modification" or various other fancy names for welching on debts. Is it surprising that lenders have become reluctant to lend? Private businesses have amassed record amounts of cash, which they could use to hire more people— if this administration were not generating vast amounts of uncertainty about what the costs are going to be for ObamaCare, among other unpredictable employer costs, from a government heedless or hostile toward business. As a result, it is often cheaper or less risky for employers to work the existing employees overtime, or to hire temporary workers, who are not eligible for employee benefits. But lack of money is not the problem. Those who are true believers in the old-time Keynesian economic religion will always say that the only reason creating more money hasn't worked is because there has not yet been enough money created. To them, if QE2 hasn't worked, then we need QE3. And if that doesn't work, then we will need QE4, etc. Sowell goes on to show how history is repeating itself. Owning a business is similar in some ways, to raising a child. You have to anticipate all of it's needs in advance, and provide for them. When the economic climate is uncertain, you have to maintain cash reserves to plan to deal with the unexpected, to insure that your business will continue to survive. The current Administration seems to have no clue about this, just as it has failed to learn the lessons of history. Would it not be better to learn from the mistakes of those who have gone before us, instead of repeating those mistakes ourselves? Could the four American Deaths in Libya have been prevented? The US administration is now facing a crisis in Libya. Sensitive documents have gone missing from the consulate in Benghazi and the supposedly secret location of the "safe house" in the city, where the staff had retreated, came under sustained mortar attack. Other such refuges across the country are no longer deemed "safe". Some of the missing papers from the consulate are said to list names of Libyans who are working with Americans, putting them potentially at risk from extremist groups, while some of the other documents are said to relate to oil contracts. According to senior diplomatic sources, the US State Department had credible information 48 hours before mobs charged the consulate in Benghazi, and the embassy in Cairo, that American missions may be targeted, but no warnings were given for diplomats to go on high alert and "lockdown", under which movement is severely restricted. Mr Stevens had been on a visit to Germany, Austria and Sweden and had just returned to Libya when the Benghazi trip took place with the US embassy's security staff deciding that the trip could be undertaken safely. Wouldn't the embassy's security staff have decided differently, had they been given the benefit of earlier mentioned intelligence information? Someone dropped the ball. The UK's Daily Mail has some pretty dramatic photos of the continuing Middle East rioting. [...] When asked if he regretted his speech, Eastwood shook his head. Then, when told that Mitt Romney had enjoyed the speech, Eastwood shared that the GOP nominee has a much better sense of humor than he’s often given credit for. In other words, it's OK if you don't think Obama is a "sort of God". (CNN) -- I come from a place where the sky is always grey, where flowers are always grey, and where television is still in black and white. I actually come from a world where color doesn't exist; I was born with achromatopsia, I was born completely colorblind. So I've never seen color, and don't know what it looks like. But since the age of 21, I can hear color. In 2003, after studying fine arts and while studying music at Dartington College of Arts in England, I began a project with computer scientist Adam Montandon with the aim of extending my senses. The result, with further collaborations with Peter Kese and Matias Lizana, is an electronic eye: a color sensor between my eyes connected to a chip installed at the back of my head that transforms color frequencies into sound frequencies that I hear through my bone. I've had the electronic eye permanently attached to my head and I've been listening to colors nonstop since 2004. So I find it completely normal now to hear colors all the time. At first, I had to memorize the sound of each color, but after some time this information became subliminal, I didn't have to think about the notes, color became a perception. And after some months, color became a feeling. I started to have favorite colors and I started to dream in color. When I started to hear colors in my dreams, I noticed that my brain and the software had united and given me a new sense. My brain was creating electronic sounds in my dreams, not the device. That was the point when I started to feel no difference between the software and my brain: The cybernetic device had become an extension of my brain -- an extension of my senses. I started to feel like a cyborg: The cybernetic eye was no longer a device but a part of my body. After some time it even became a part of my official image. You are not allowed to appear with any electronic equipment on the UK passport photo, but I insisted that what they were seeing was not a piece of electronic equipment but a new part of my body. It's gets even more interesting - annoying - weird as it goes on. He ends up advocating cyborgism for the masses. It's not that long, and worth reading the rest. It's interesting, but also annoying, because, well. It's like this. I see plenty of people in life who haven't seemed quite able to manage even the five senses they do have. Now here is this guy claiming he can "hear" color. Perhaps he has learned to identify what we call color, with sounds. But he is still NOT experiencing actual color; he's experiencing sound. Some of the comments after the article, note that he does not seem too aware of how color affects people who can actually see it; color to him is sound and therefor "feeling". Thus, he can wear bright colors to a funeral because it matches his feelings, without understanding what it looks like to people who judge colors by how they look. Anway. I don't say that it's right or wrong. But is sure is different. And perhaps inevitable in the Brave New World that is coming with technological advances. I'm just concerned that, if everyone starts "augmenting their senses" like this, that we might collectively be moving farther and farther from reality, lost in a technological fantasy. It's fine to reach for the stars, as long as you also remember and know how to keep your feet on the ground, when you need to. What you need to know -- and do -- about belly fat. Belly fat: Did you know that it's not just about your waist size? It's also about your health. And you can do something about it, starting right now, at any size. But first, let's be clear: This is not about fat phobia. Your body needs some fat. And it's not about judging yourself or anyone else, or trying to reach some unrealistic ideal. Instead, it's about getting a handle on your fat -- even the fat you can't see. That's right: You have fat you can't see. We all do. Just under the skin in the thighs, hips, buttocks, and abdomen. That's called subcutaneous (under the skin) fat. It's the fat that you notice. Deeper inside, around the vital organs (heart, lungs, digestive tract, liver, etc.) in the chest, abdomen, and pelvis. That's called "visceral" fat. It's so deep inside you that you can't notice it from the outside. Many people are self-conscious about the fat they can see. But actually, it's the hidden fat -- the visceral fat -- that may be a bigger problem, even for thin people. Fat doesn't just sit there. It makes "lots of nasty substances," says Kristen Hairston, MD, assistant professor of endocrinology and metabolism at Wake Forest School of Medicine. We all have visceral fat -- and it isn't all bad. It provides necessary cushioning around organs. When obese, a body can run out of safe places to store fat and begin storing it in and around the organs, such as the heart and the liver. Now that you know more about the fat that we all have, it's time to take action. Even thin people can have too much visceral fat, though you'd never know it by looking at them. It's partly about their genes. Some people have a genetic tendency to store visceral fat. But it's also about physical activity. Visceral fat likes inactivity. For instance, a British study showed that thin people who maintain their weight through diet alone, skipping exercise, are more likely to have unhealthy levels of visceral fat. So the message is, get active, no matter what size you are. It goes on to give advice, about what works, and why. Intel has released early details of its Haswell computer chips, due for release in the middle of next year. One version of the processors will run at 10 watts, about half as much as its current Ivy Bridge design. It said the improvement would mean devices could become thinner, faster and offer extended battery life. In addition it said the chips were designed to better support "perceptual" tasks such as voice recognition, facial analysis and depth tracking. Another innovation on the new chips is a more powerful GPU (graphics processing unit). This is designed to handle tasks in which a large number of calculations can be carried out simultaneously, rather than one-at-a-time. Speech and face recognition are highly parallelisable tasks and will thus benefit from this improvement. Intel is working with speech-recognition company Nuance to create a software kit to help developers best unlock the chips' potential. Intel is going to integrate a Google Voice-like technology into its future ultrabooks. By partnering with voice specialist Nuance, Intel will let ultrabook buyers use speech to control their laptop, Dadi Perlmutter, general manager of the Intel Architecture Group, said in a keynote speech at the Intel Developer Forum in San Francisco on Tuesday. In an onstage demonstration, attendees saw an Intel developer instruct a Dell XPS ultrabook to search the web, look up a product on Amazon, tweet a link to it, and then play some music. All of this was done with voice control. The software "is running native on the platform. This is not a cloud service, this requires the high-performing CPU and the capabilities inside", Perlmutter said. Intel has worked with Nuance to tune the application for its processors to maximise performance, he said. The software pairs Nuance's Dragon Assistant technology with Intel-based ultrabooks and should be available as a beta in late 2012 and as a full product in the first quarter of 2013. It is reminiscent of Google Voice, which lets Android users search the web and control their phone by talking to it. The main difference is that Intel's software is initiated by the user saying 'Hello Dragon' to their computer, while Google typically requires the user to touch the screen. Is it "feed a cold, starve a fever" or vice versa? And should you? [...] The idea, if not the exact wording, dates back to 1574, when a dictionary maker named Withals wrote, "Fasting is a great remedie of feuer." You're thinking: this guy wrote a dictionarie? His medical advice wasn't so hot either. Doctors have been trying to stamp out the above piece of folklore for years. Current medical thinking is that you want to keep an even strain when you're sick with either a cold or a fever, and you certainly don't want to stress your system by stuffing or starving yourself. Read the whole thing for detailed recommendations. If you've got restless legs syndrome (RLS), your daily habits can make a difference to your condition. You wake up in the middle of the night and can't get back to sleep. Whether you drank one cup of coffee too many earlier, or you've got a lot on your mind, it's time to decide whether to get up or stay in bed. Getting out of bed makes sense at some point. Tossing and turning endlessly isn't going to help. If you do get up, though, you're not giving up for the night. You still need rest. So your goal should be to get back to sleep as soon as possible. Some activities help with that. Others put sleep even further out of reach. Sept. 7, 2012 -- In what scientists call the biggest breakthrough in genetics since the unraveling of the human genome, a massive research effort now shows how the genome works. The human genome contains 3 billion letters of code containing a person’s complete genetic makeup. The biggest surprise is that most of the DNA in the genome -- which had been called "junk DNA" because it didn't seem to do anything -- turns out to play a crucial role. While only 2% of the genome encodes actual genes, at least 80% of the genome contains millions of "switches" that not only turn genes on and off, but also tell them what to do and when to do it. Eleven years ago, the Human Genome Project discovered the blueprint carried by every cell in the body. The new ENCODE project now has opened the toolbox each cell uses to follow its individual part of the blueprint. The effort is the work of more than 400 researchers who performed more than 1,600 experiments. [...] Eric D. Green, MD, PhD, director of the NIH's National Human Genome Research Institute (NHGRI), notes that most known disease-causing DNA mutations are in the small part of the genome that encodes genes. No. The "switches" don't cause the disease. The causes are things like bad diet and lack of exercise, etc, conditions which in turn cause the body to have a natural response by triggering things in the switches. The disease is a warning that we are doing something wrong. Dr. Green seems to be implying that if we can turn off the triggers in the switches, we can stop the disease. But if we do that, you can be sure that the imbalance that would have triggered the disease, will then manifest somewhere else, some other way, in perhaps even a worse form. Duh! I don't need a PhD to see that. It's an area of study that we will inevitably pursue, but how that knowledge is used should be approached very conservatively. Nature does things for a reason. Altering that should not be approached lightly. Anyway, it IS an interesting read. TORONTO — Canada shut its embassy in Tehran on Friday, severed diplomatic relations and ordered Iranian diplomats to leave, accusing the Islamic Republic of being the most significant threat to world peace. The surprise action reinforces the Conservative government’s close ties with Tehran’s arch foe Israel but also removes some of Washington’s eyes and ears inside the Iranian capital. Baird said Canada was officially designating Iran a state sponsor of terrorism and gave a long list of reasons for Canada’s decision, including Tehran’s support for Syria’s embattled President Bashar Assad in that country’s civil war. Baird said he also was worried about the safety of diplomats in Tehran following attacks on the British embassy there. Britain downgraded ties with Iran following an attack on its embassy in Tehran in November 2011, which it insists was sanctioned by the Islamic Republic’s ruling elite. After the attack, Britain pulled all of its diplomats out of Iran and expelled Iranian diplomats from U.K. soil. Is Venus The Cat for Real? As adorable cats go, Venus earns a double take. Literally. Her face appears to be split in two: half black cat, half ginger tabby cat. 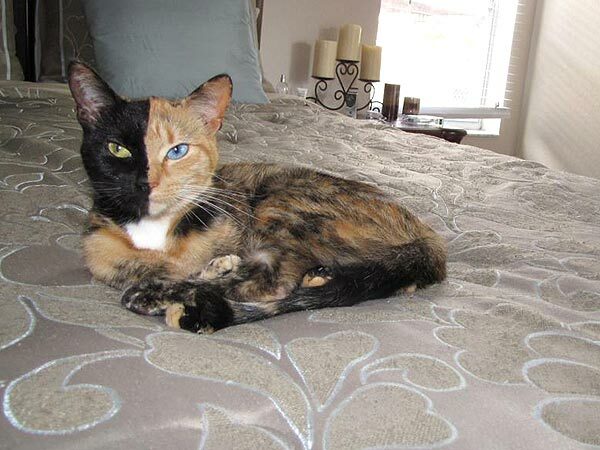 The latest Internet feline fixation is a chimera cat by genetics. Three vets have confirmed this to Venus's owner, according to a post on the kitty's Facebook page, which has already garnered 32,000 Likes – and counting. Also contributing to the appearance of two faces: 3-year-old Venus's blue and green eyes, which are the result of heterochromia iridum, or a change in coloration. But don't be fooled by her looks – Venus, whose story went viral two weeks ago when someone posted her photo to user-generated news site Reddit, seems to be anything but two-faced. "She's as sweet as can be ... gentle, loving, and has this little tiny kitten like 'meow,' " her owner writes on Facebook. "She acts like a big baby in the way that she loves to be babied. She doesn't bother any furniture with her claws and uses a scratching post." Adds Venus's owner, who rescued the cat in September 2009: "She does not have one single bad habit ... she's perfect!" It also means a monster made up of various parts. Sweet little kitty couldn't be that, could it? Ask the dogs in her household! Two security researchers have found new evidence that legitimate spyware sold by British firm Gamma International appears to be being used by some of the most repressive regimes in the world. Google security engineer Morgan Marquis-Boire and Berkeley student Bill Marczak were investigating spyware found in email attachments to several Bahraini activists. In their analysis they identified the spyware infecting not only PCs but a broad range of smartphones, including iOS, Android, RIM, Symbian, and Windows Phone 7 handsets. The spying software has the capability to monitor and report back on calls and GPS positions from mobile phones, as well as recording Skype sessions on a PC, logging keystrokes, and controlling any cameras and microphones that are installed. They report the code appears to be FinSpy, a commercial spyware sold to countries for police criminal investigations. FinSpy was developed by the German conglomerate Gamma Group and sold via the UK subsidiary Gamma International. In a statement to Bloomberg, managing director Martin Muench denied the company had any involvement. "As you know we don't normally discuss our clients but given this unique situation it's only fair to say that Gamma has never sold their products to Bahrain," he said. "It is unlikely that it was an installed system used by one of our clients but rather that a copy of an old FinSpy demo version was made during a presentation and that this copy was modified and then used elsewhere." Parallel research by computer investigators at Rapid7 found command and control software servers for the FinSpy code running in Indonesia, Australia, Qatar, Ethiopia, the Czech Republic, Estonia, Mongolia, Latvia, and the United Arab Emirates, with another server in the US running on Amazon's EC2 cloud systems. Less than 24 hours after the research was published, the team noted that several of these servers were shut down. Gamma and FinSpy gained notoriety last year when documents apparently from the company were found in the Egyptian security service headquarters when it was ransacked by protestors after the fall of Hosni Mubarak. These appear to be a proposal that the Egyptian government buy a five-month license for the software for €287,000. Again Gamma denied involvement. One of the negative aspects of the new technology of our Brave New World, is how some people will choose to use it. Death by Smartphone. Aug. 31, 2012 -- Is setting down your iPad the last thing you do before bed? New research shows that all of those nighttime hours spent with your tablet can wreak havoc on your sleep. The bright light emitted from these tablets can suppress melatonin. That's a hormone that helps control sleep and wake cycles, called circadian rhythms. The researchers only looked at the iPad, iPad 2, and a tablet known as the Asus. Using these tablets for two hours on their brightest settings suppressed melatonin by about 22%. The findings appear in the journal Applied Ergonomics. “If they are bright and they are big and are close to your eyes, they have more potential to disrupt your melatonin than the TV, which is usually farther way,” says researcher Mariana Figueroa. She is an associate professor at Rensselaer Polytechnic Institute in Troy, N.Y.
iPhones and other small gadgets may not affect circadian rhythms. “Smaller devices emit less light,” she says. But even if these devices aren't zapping the body’s melatonin supply, they may still be disrupting sleep by delaying your bedtime, she says. Exactly. That's why I usually read a book in bed for a bit, before turning in. No glowing screens. I was born and raised in Connecticut, went to college in Boston, dropped out and moved west to California where I lived for 23 years. I now live in the State of Jefferson, enjoying a lifestyle I've longed for. Have you experianced the "Helper High"?